[ALENTEJO, PORTUGAL] — It’s the pine trees that get ya. They are everywhere in Comporta. Big billowy umbrella pines that quietly sway in the breeze. 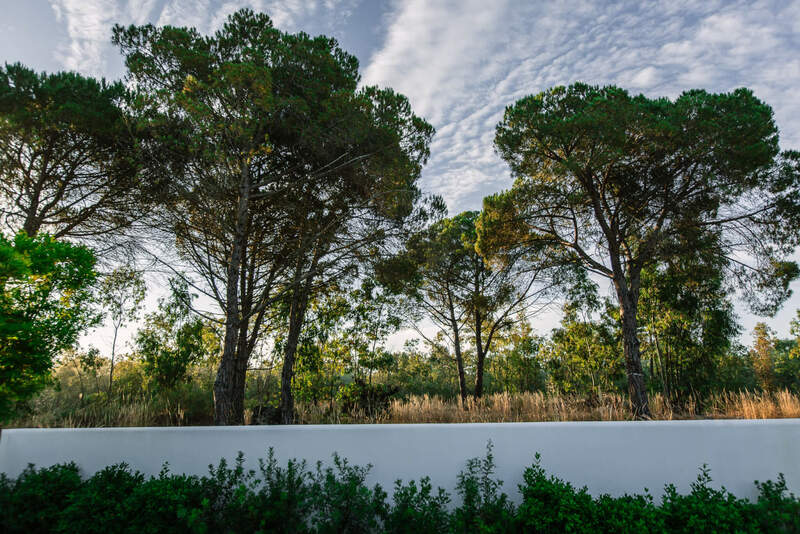 Besides the rice fields, Comporta is known for its pines. And because development has been strictly controlled, the remain its dominant feature. 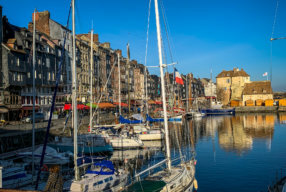 There are no massive hotels or major housing estates, just slivers of streets carved out of the trees, often with protective easements that protect the privacy forever. 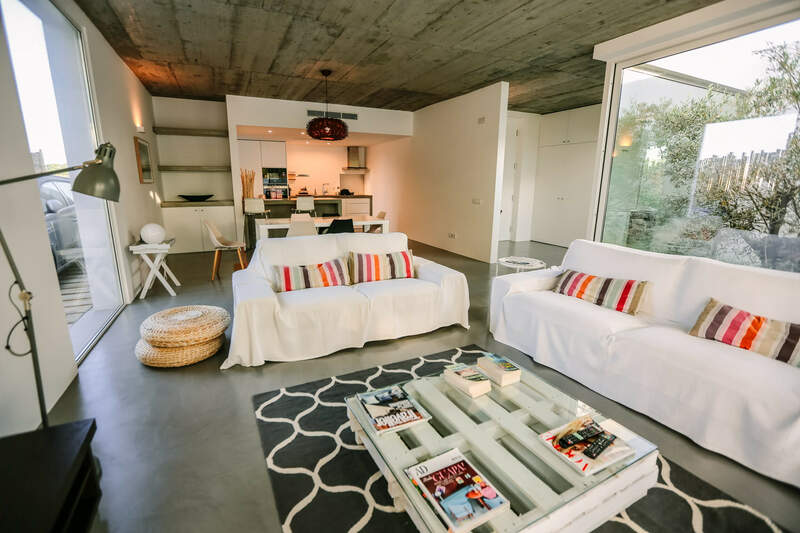 When I first saw this villa on Airbnb, I thought “Oh wow, this is nice…” and kinda like finding a puppy at the pound, I knew this would be the place we’d rent. Wasn’t quite sure of the area at first — had a hard time figuring out distances on Google maps — but as soon as we pulled in and walked out back that I knew we picked the right pup. The trees. Towering over the most perfect pool and soft grassy backyard. A white stone border fence like an aesthetic cherry on top. The big blue sky. The sound of the wind rustling through the branches. It was intoxicating… and nap-inducing. I wanted to just.lay.down.right.here and take a nap. 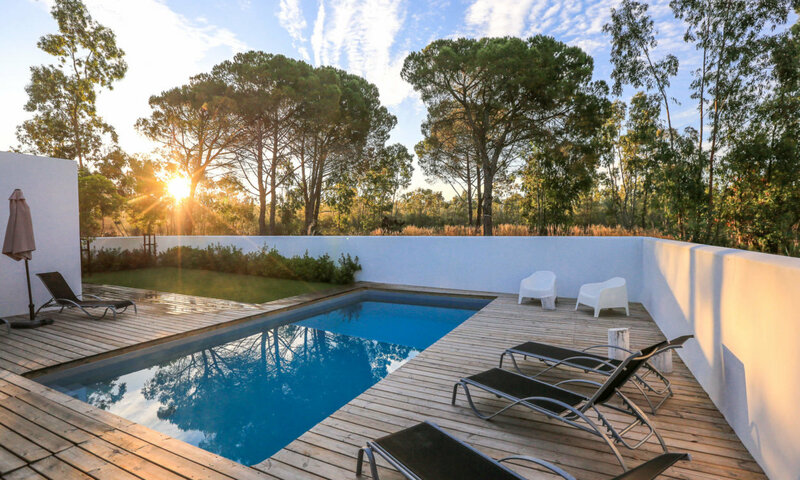 There are only a handful of small hotels in the Comporta region, most always booked long in advance. So the way to go is to rent a villa. And seriously, you don’t even have to explore other places, because this is as perfect of a place as you’d want. 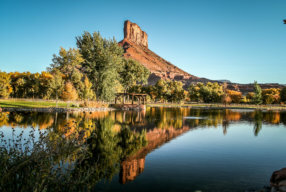 The location turned out to be perfect, a quick 10-20 minutes from everywhere you’d want to go. The best beaches. 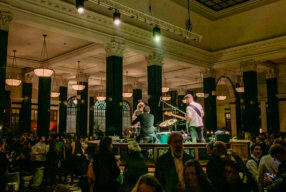 The best restaurants. Right off the main road, but quiet as can be. I never heard a single car. Does it get any prettier? This villa is pretty new, designed and built by the owner Nuno and his wonderful wife, Ana — who actually have a similar house just a few blocks down the street. 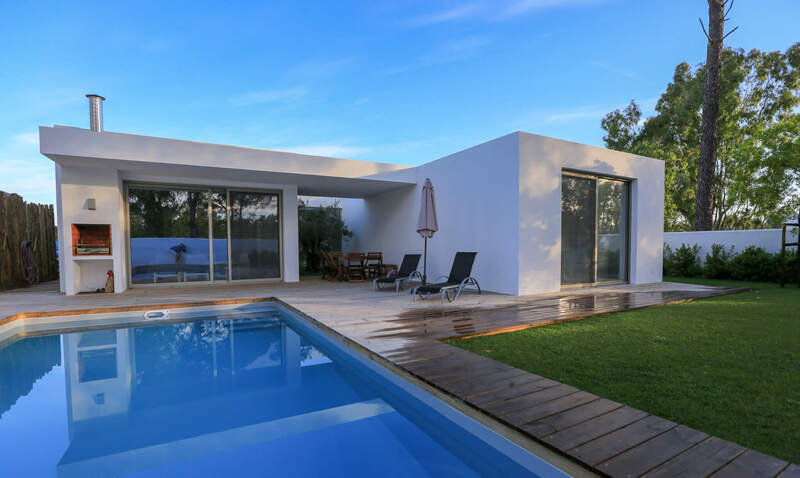 It’s clean, modern and the perfect vacation home. All the doors open up to the outside with gigantic sliding doors. The perfect little pool. An outdoor grill. And perfect interiors. There are three bedrooms, one Master with king bed and two twin rooms. Two nice bathrooms and a perfect living room. I just love how the whole place is build around an old olive tree. The whole house opens wide to the outdoors, with gigantic slide glass doors and screens. Nuno is the perfect host; friendly, fun and helpful. 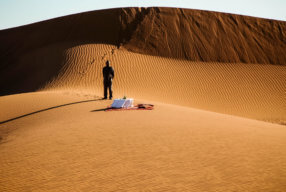 He checks in on What’s App everyday to see what you need, makes suggestions on where to go. He’s like having your own concierge. I could live here. Just love how the whole house is built around an old olive tree. Just love how these cool trees work as a fence, reflecting the surrounding trees. Big, roomy living area. Everyone can hangout in the same room. See how cool this old olive tree is? The whole house is built around it. Ahhhhh, to fall asleep to the whistling pines. I want this to be my bedroom. One of my favorite things about this villa was its pristine floors. Nuno has a special craftsman come in from the north of Portugal to create this special finish. Now everyone in Comporta is following his design lead. There’s a great outdoor grill for cooking. It first, we were unsure of the location because we didn’t realize how close everything is. 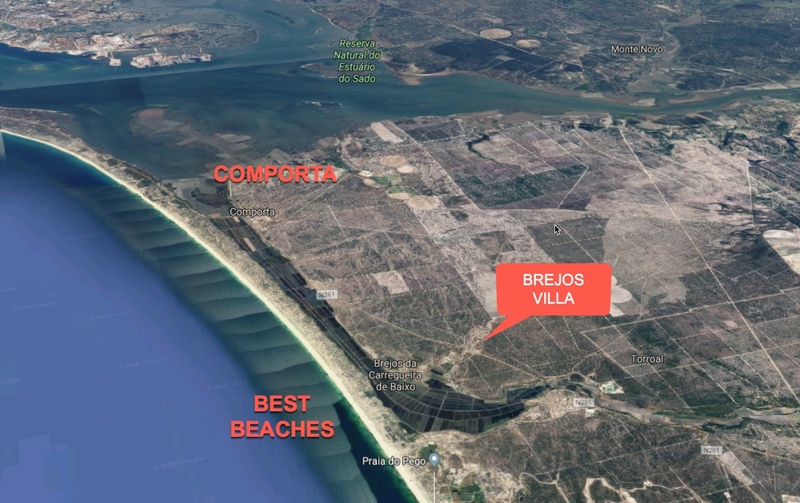 The small little hamlet of Brejos da Carregueira is so centrally located in Comporta. Pretty much everything is a 10 or 20 minute drive, to the beaches, to Comporta, to restaurants. Turns out this was the PERFECT location. And the beaches are very easy to just drive to and park. One cool thing I didn’t know was that when you own a house in Brejos da Carregueira de Baixo is you get access to a private beach hidden in the trees. When you stay here, you get an access card that opens a gate. You cross the narrow roads through the rice fields and find your way to a secluded parking area. A paver path leads through the trees to a totally private beach, only known by locals. There are no services, restaurants or bathrooms at this beach, so you have to bring whatever you need. You can see locals loading up ATVs to make the trek, carrying coolers, grills, umbrellas and kids. Just miles and miles of pristine sandy beaches. 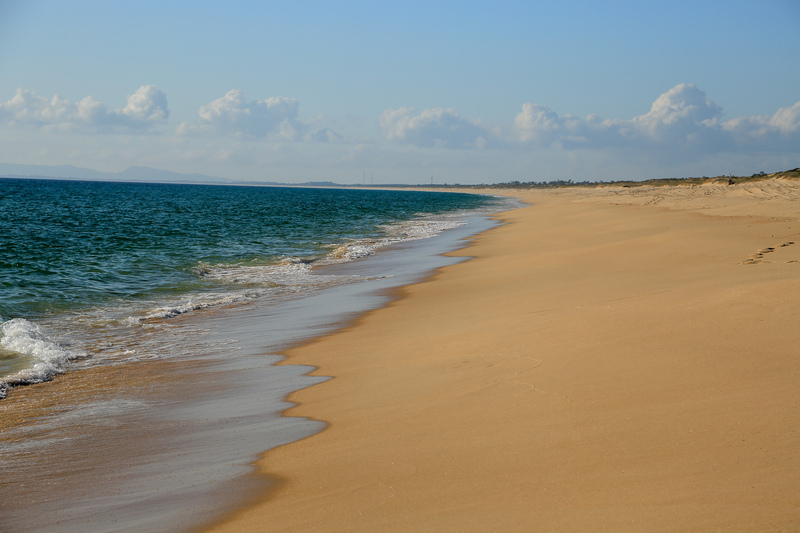 For other beach recommendations nearby, check out my other posts on Comporta. 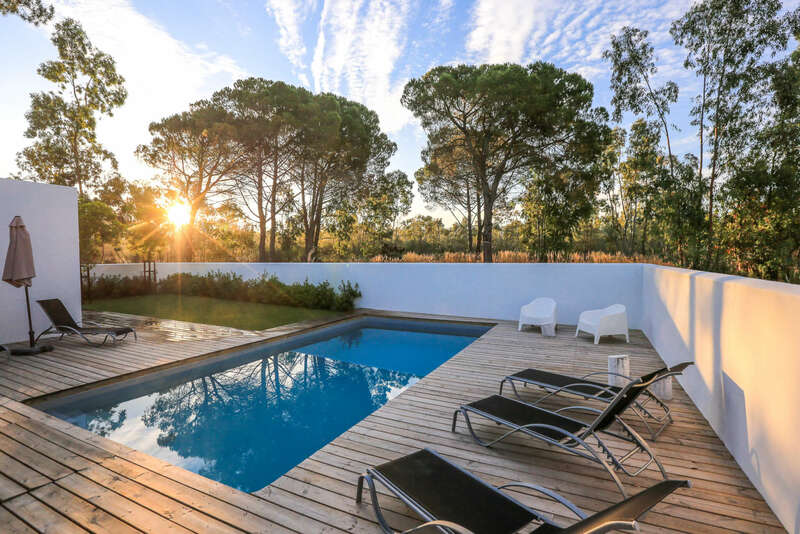 Here is a link to Nuno’s villa on Airbnb. Here’s the article in Conde Nast Traveller UK edition that first wowed me to come here. 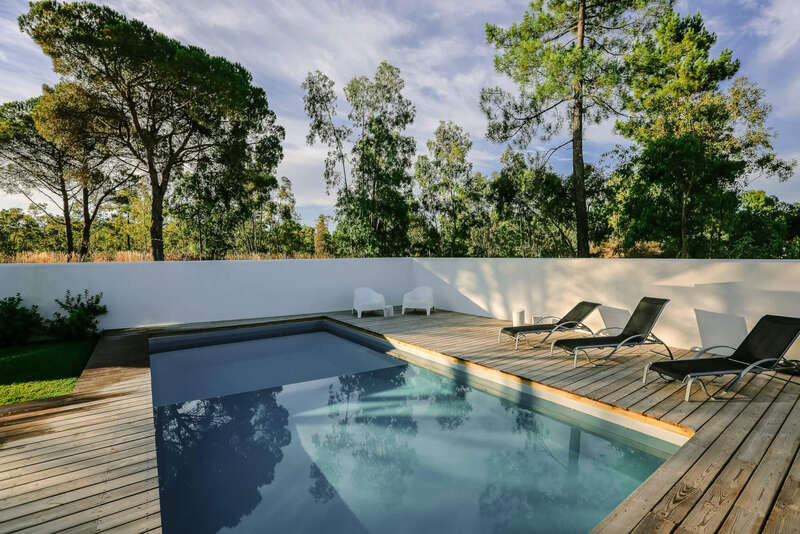 A great article on Comporta in The Telegraph. And in the UK’s Independent. 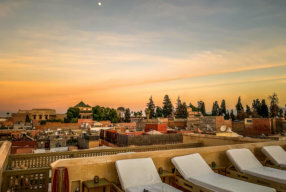 And Where the Rich Got to Get Off The Grid in Conde Nast Traveler. An article called The Next Great Beach Destination in Forbes. 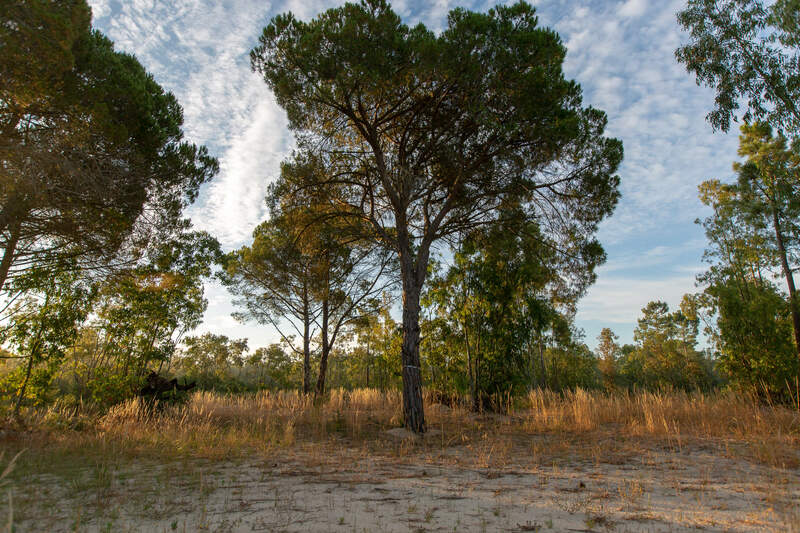 And an article on wild Portugal in The Spaces website. 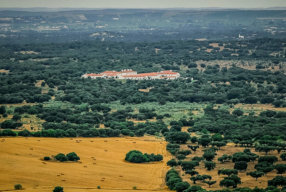 And a great overview of Alentejo and other cool boutique hotels all over Portugal on the beautiful Joandso.com site — two Portuguese sisters who specialize in cool stuff. A great article in Architectural Digest on Comporta. 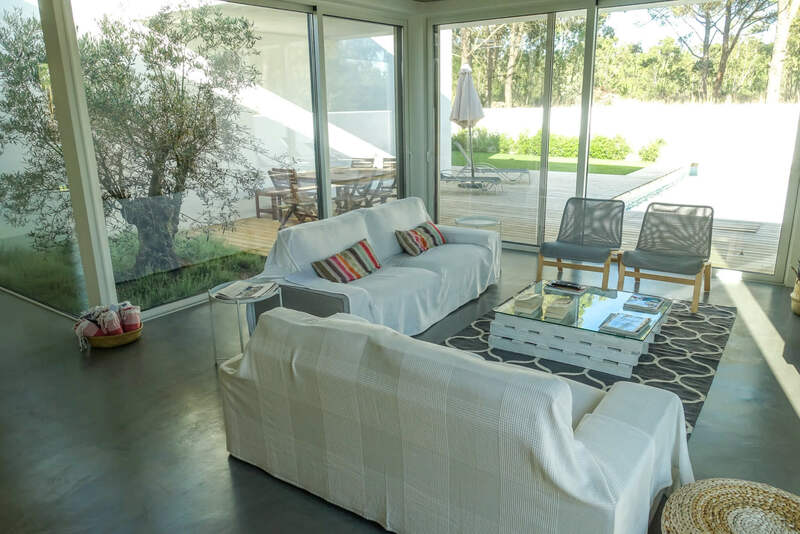 A great article on What to do in Comporta in Travel & Leisure. 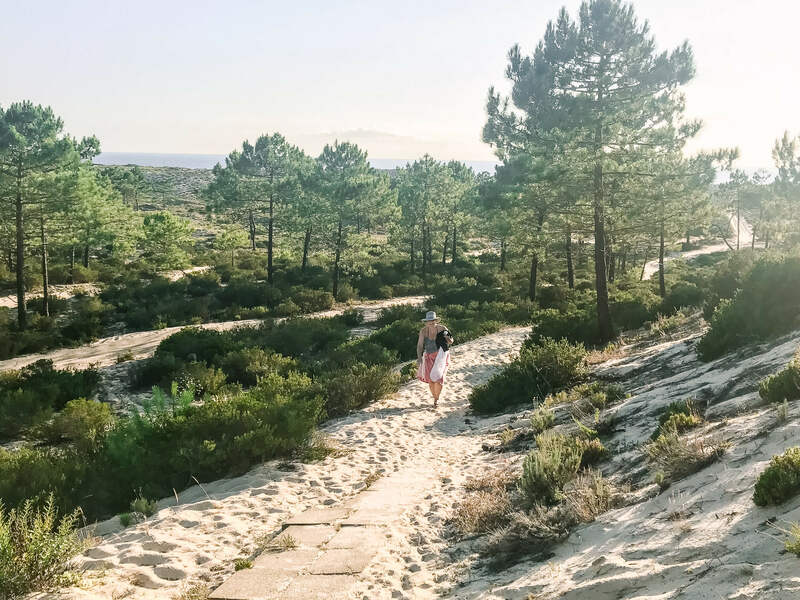 And a great article in Vogue on Comporta — they are always ahead of the rest of us. Another great article in The Guardian. 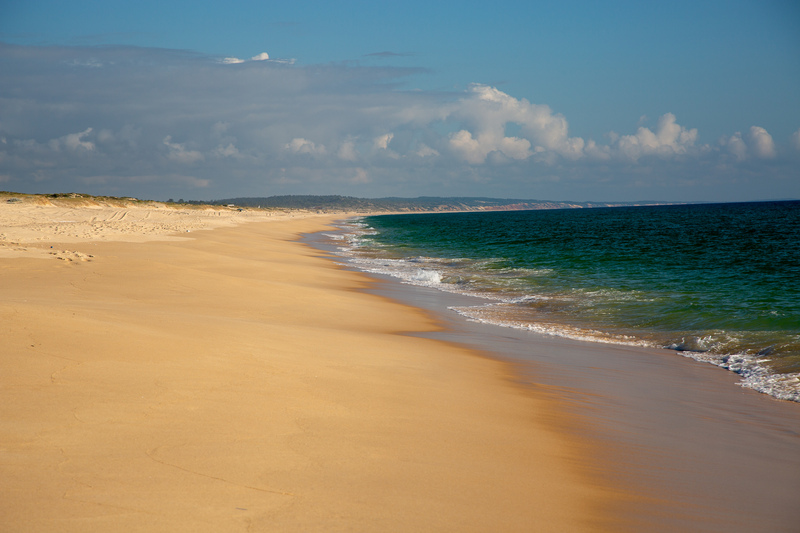 A very comprehensive guide on Comporta on the official Visit Portugal website. And in the Financial Times How To Spend It. and another article in The Times of London. And two Comporta hotels profiled in Wallpaper. I’ve been to Portugal four times now, here are all my other posts.